It’s amazing when you think about how many of the awesome relationships in our lives began with a simple hello and have grown stronger over the years from our best friends, to significant others, coworkers and more. Doesn’t it just give you all sorts of warm fuzzies when one of these special people goes out of their way to do something awesome for you? Don’t you just love the heart-felt smile you get when you give one of those special someones a truly appreciative thank you? With these days of go go go, it can be hard to take the time to do either of these on a regular basis the way we want. 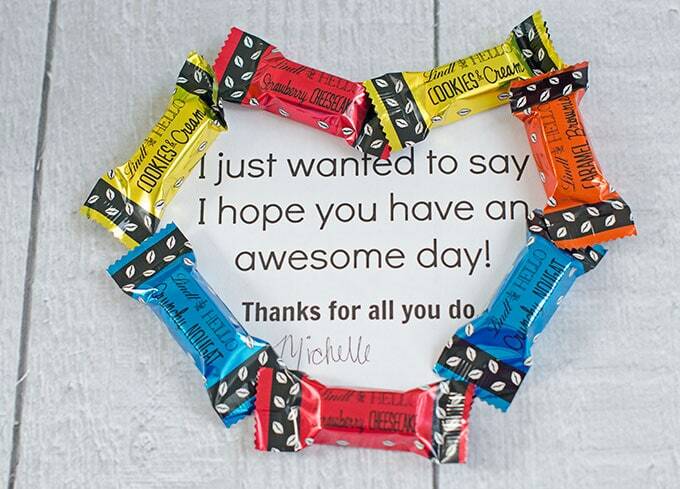 That’s why I’m happy to share an easy way to show appreciation + free printable candy thank you. Thanks to Lindt for sponsoring this conversation about hellos and appreciation! Don’t you just love the bold, colorful packaging?! I’ve always tried to take the time to let the people that mean a lot to me know just how thankful I am for all they do. I love to leave little notes and make special treats for them but honestly, I don’t always have time for that any more the more I work on growing my business. That’s why I was delighted to recently see new Lindt HELLO chocolate in several of our local stores to be able to show my appreciation with. I’ve always been a huge fan of Lindt chocolate and it’s something Mr. Savvy and I share regularly when we have a quick moment to spend with each other. 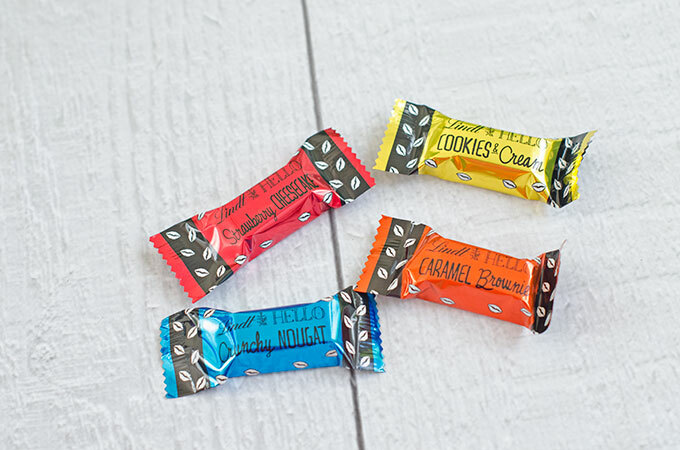 With flavors like cookies & cream, caramel brownie, strawberry cheesecake and crunchy nougat, who wouldn’t want to say hello?! The new Lindt chocolate has some awesome flavors like caramel brownie, strawberry cheesecake, cookies & cream, and crunchy nougat. I love all the flavors, but caramel brownie juuust edges out the others for me. With the delicious flavors and super fun and color packaging, I was definitely inspired when I wanted to do a little something special for Mr. Savvy when I didn’t have a lot of time. What I came up with was a simple printable candy thank you that I printed, signed, cut out and then decorated the edge with Lindt HELLO chocolate. All I had to do was leave it in a place I knew Mr. Savvy would find the next morning. I got to see him smile, and then we shared some delicious chocolate before he had to go out of town for a few days. I don’t know about you, but it’s the simple memories like that I live for. Want to make this candy thank you for someone you know? You can find the free printable candy thank you in PDF format here or Google Document format here. 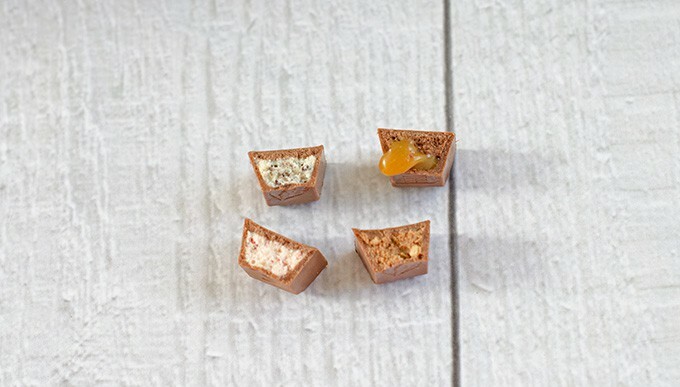 Want to find out more about Lindt HELLO chocolate? Check out the It Started with HELLO video on YouTube. You can also find out more information on the Lindt HELLO website, where you can also enter the Lindt HELLO Sweet Connections Sweepstakes to still win prizes like a Sweet Staycation and Besties Reunion! 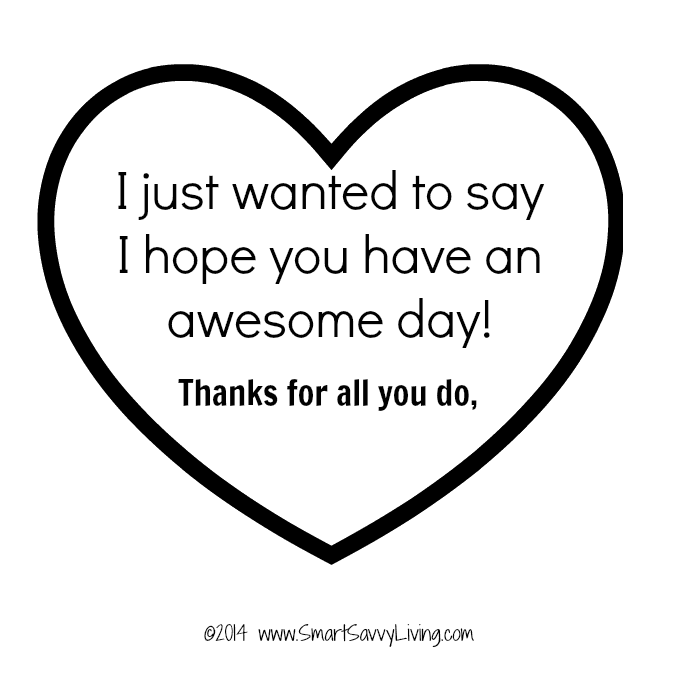 I hope you enjoy this An Easy Way to Show Appreciation + Free Printable Candy Thank You!